Have you ever witnessed a starling murmuration? 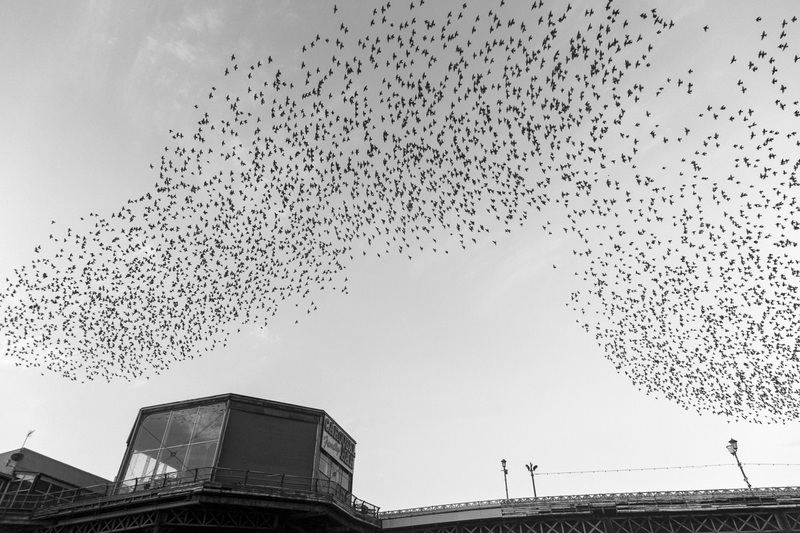 I’m utterly hypnotised whenever I see a murmuration of starlings and, some may say, obsessed with documenting the behaviour of these gregarious birds as they flock to Blackpool in vast numbers to roost during the autumn and winter months. 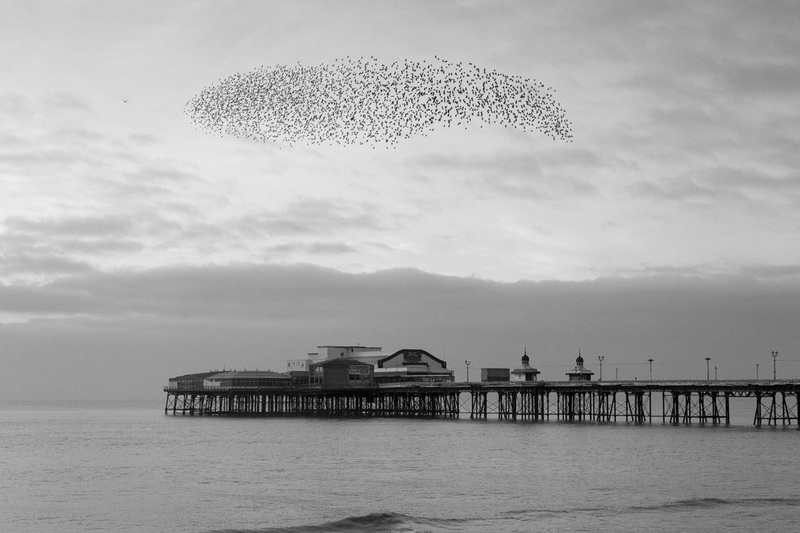 Over the past eight years I’ve captured countless murmurations for my award-winning wildlife photography series Starlings Above, and now, with the starlings season already underway, I thought it was time to share a selection of my latest photos and video footage of starling murmurations in Blackpool. You may remember that I created a short film entitled Murmurations which explores this amazing natural phenomenon through the medium of video which I captured with my beloved Canon EOS 5D Mark II. 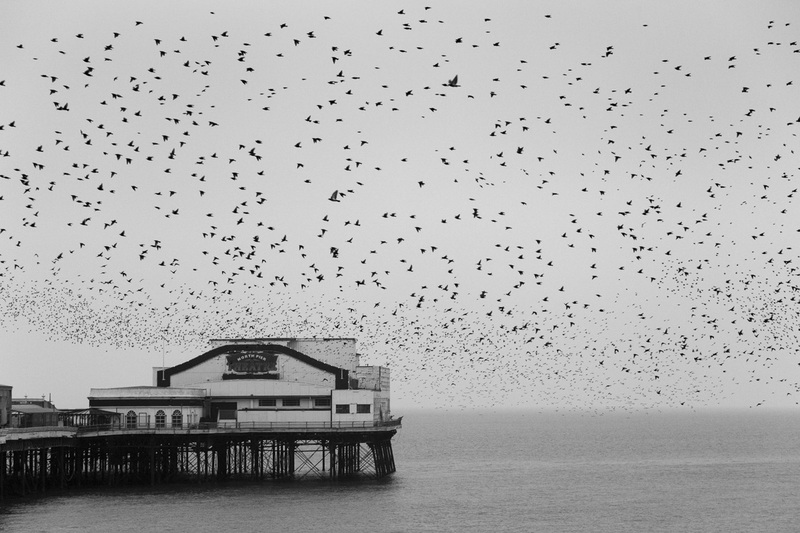 This recent video clip of a starling murmuration at Blackpool’s North Pier is a sneak peak of what I’ve shot with the aim of remastering my murmurations video with new footage in the coming months. The common starling is one of my favourite wildlife subjects to photograph. Their swarm behaviour creates complex and beautiful shapes silhouetted against the sky, a phenomenon called sort sol (“Black Sun”) in Denmark – where huge flocks of starlings can be observed over the seaward marshlands of Tønder and Esbjerg. 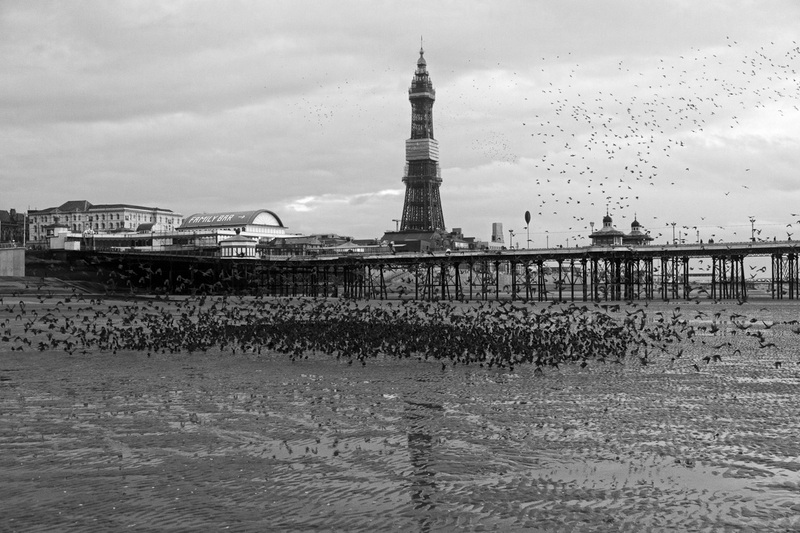 Here in Blackpool, the best place to see starling murmurations is North Pier. 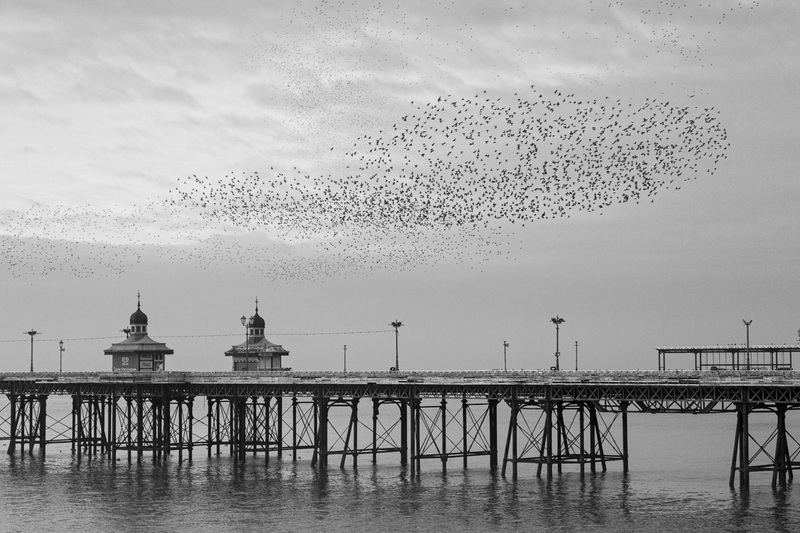 You can see them elsewhere on the Fylde coast, but if you want a vista full of starlings North Pier is definitely the place to go. Since the beginning of November I’ve spent almost every weekend photographing starlings and, with hundreds of new images to choose from, selecting my favourite photographs has proven incredibly difficult. Below are some of my favourite starling murmurations captured over the past few months. 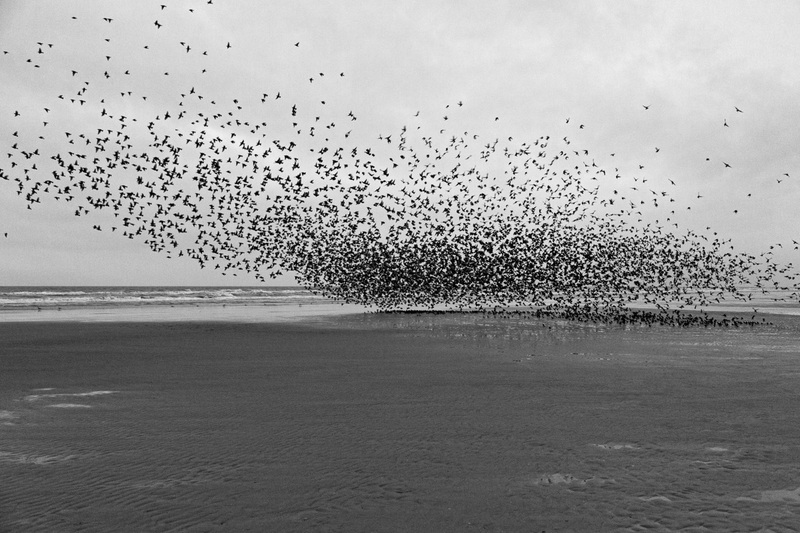 ‘Murmuration’ refers to the sound of rippling wings in a flock of starlings when they create these spectacular displays. Starling’s have a quick reaction time of under 100 milliseconds compared to the average human’s 250 milliseconds. When European starlings molt their feathers in the autumn, the new feathers have white tips. Female starlings are known to deposit eggs into the nests of other starlings. This behaviour is known as brood parasitism and is found in only 1% of bird species. 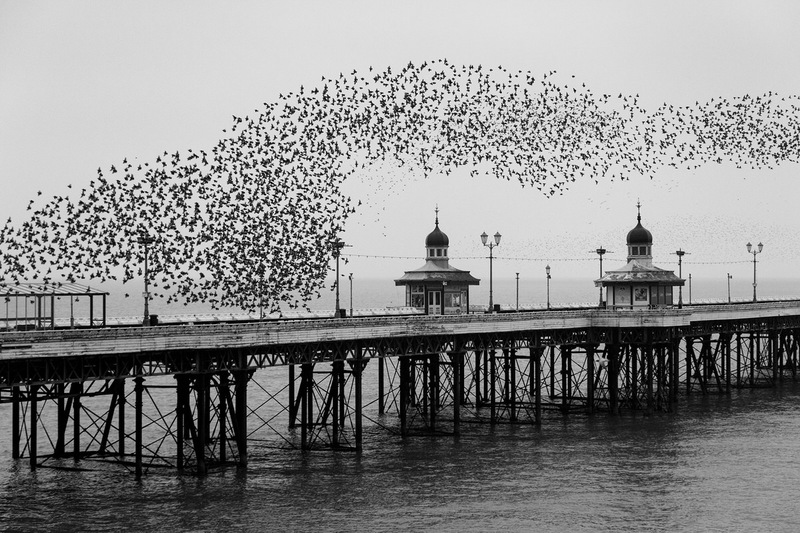 Have you seen starlings in Blackpool? What do you think of them? Please leave your comment or links to your own photographs below, I’d love to see them. 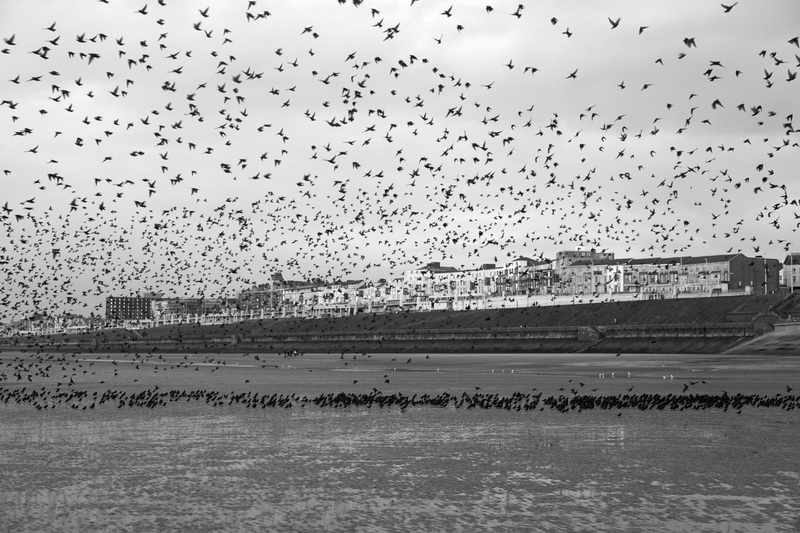 If you like my photographs of starling murmurations in Blackpool please share this blog post with your friends and followers. This entry was posted in Nature and tagged Birds, Blackpool, Murmurations, Photography, Starlings, Wildlife.